a shine machine: the story. I can't believe how long it has taken me to write this post. On one hand, I want to scream everything across the rooftops and another part of me is too overwhelmed, and another part of me is emotionally exhausted from all of the excitement and another part of me is feeling so completely loved it's unreal. Yesterday, our secretary called over my intercom to tell me that I had a phone call and could I pick up. In the 9 years that I have been a teacher I have had maybe two calls at school, everyone calls my cell phone if they need me. He asked if I was sitting down and again, freaking out, it could only be something really bad right? It was the complete opposite of bad. It was amazing, it was happiness, it was love, it was answered prayer, and it was my dream come true all wrapped into one little phone call. I'm going to make a really long story short. 1. Because Im not sure what I am technically able to share just yet. A birth mother chose us. She saw our profile book, and loved us. She loved Catalina's suitcase bed a lot. We have heard a lot about the birth mother and from what we know of her, we already love her so much too. We get to meet her next Thursday!! She is due in February which is so crazy. The pregnancy is considered high risk due to the birth mother having a pulmonary embolism right now and being on blood thinners. With that being said, she can go into labor ANY DAY NOW. In a perfect world, Adam and I will have a baby next month. 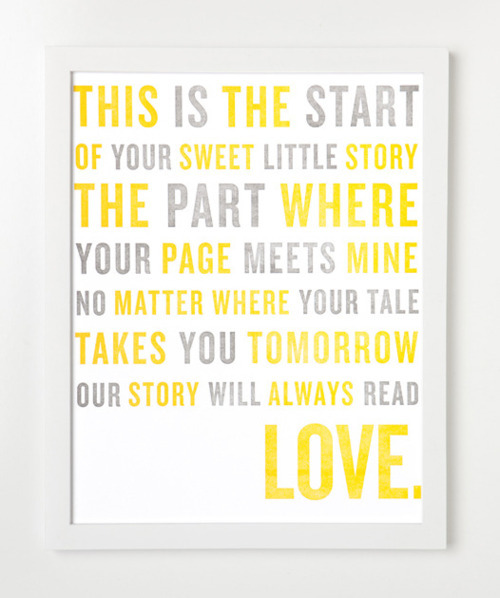 We can start our little family and live happily ever after. In reality, this adoption is "a legal risk"
There are some issues pending with the birth father that need to get resolved before things can legally move forward. The birth mother has 48 hours after the baby is born to change her mind. In the meantime all we can do is pray and love this baby and her birth mother. Prayers and happy thoughts are very much appreciated right now. You all have been beyond amazing throughout this entire journey with us and I truly feel like you are all part of our little family. Your texts, calls, emails, and comments this past couple of days has been such a blessing for us and something that I am quietly treasuring during this time. and this baby is going to love you all too. Thanks for sharing in our excitement. as a long time reader and first time commenter, i just want you to know i'm unbelievably happy for you and adam and i've got every finger and toe tightly crossed. Oh I am keeping everything crossed for you. So looking forward to hearing the next chapter in your story. EEP! OMG! I'm keeping my fingers crossed and praying for your little family that everything works out! Lots of love from Dallas! Yay!!! Congratulations! I remember how awesome this feels :) My parents adopted my three youngest siblings when I was 12, 14 & 15 so I remember it vividly. Amazing! I'm so happy for you!!! That is so exciting!!! I hope everything works out for your family! You deserve it so much and will make such a great mother. I really hope its a girl! I have two and they are sooooo much fun! I have never commented before but I have followed you for quite a while and I am so excited for you! Lot's of prayers that you will get your baby girl soon! Congrats! Oh, my goodness. This is amazing Janel. You are in my prayers. This is such a miracle. To be honest, I am so happy for the both of you, happy tears ran down my face while reading this blog post! I'm keeping my fingers crossed and I'm pretty sure everything will work out fine! congratulations that's amazing! i'm so happy for you! congrats you guys! so excited for you!!! fingers crossed, i am so happy for you. I'm welling up with tears reading this. Its a beautiful story and wish you the best. Sending lots and lots of prayers your way! I am so excited for you and Adam. I just can't stop thinking about you and praying for you! Wonderful news!!! I will be praying for your family. I'm so happy for you! You all will be in my prayers ... oh, I am so very happy for you and Adam! And what a courageous birth mom. All my best to you all! you two will make amazing parents! omg i am so excited for you and Adam!!! I am wishing and crossing my fingers for you two that everything goes wonderfully for your little family!!! I am keeping my fingers crossed that everything works out perfectly for you! How awesome! I keep checking your blog everyday just to see whats happening! Best of luck! SO happy to hear this news! I've been following your blog for almost two years, and I can't wait to be a part of your new journey! Praying that everything works out! This is so amazing, Janel! I'm so incredibly excited for you and Adam! Kitten! I am so excited for you- I know you have been wanting this for forever and I am really happy you and Adam are going to live the perfect life that you always dreamed of. Enjoy it! I'm sending all my positive energy and thoughts your way! Congratulations! :') i was just talking about you today with my brother. just a few hours ago as i held my 16 week old niece...God is good. In tears. Praying for you, praying for Adam, praying for the birth parents, and praying for God's sweet gift, your baby. Blessings to you all. I have my fingers crossed for you. You deserve all good things -- and you will give this baby a great home. Waiting on pins and needles to know more! So glad you posted! I've been on the edge of my seat since "the call" post. God bless you all. Can't wait to read the posts to come. So excited and happy for you both. Praying for you, the baby and the birth Mom. I hope it all works out and your new family begins.